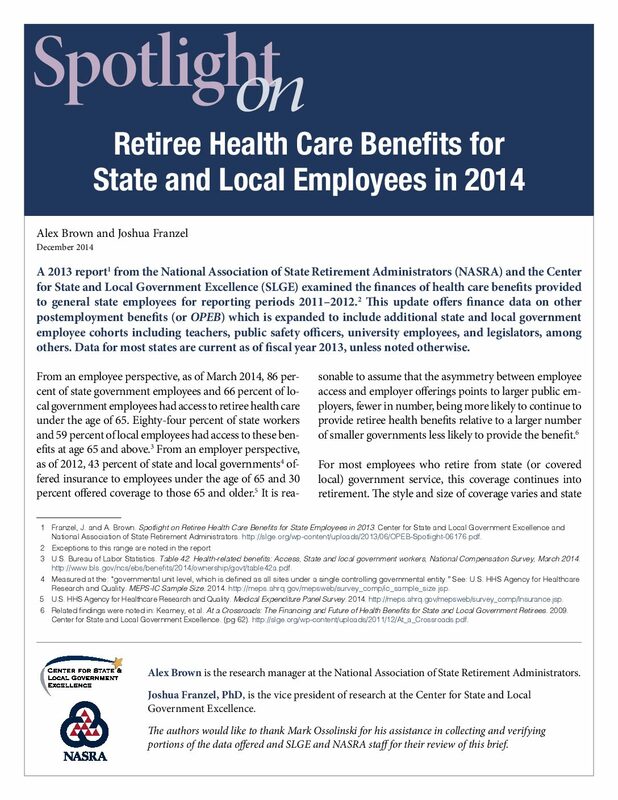 In 2013, SLGE and the National Association of State Retirement Administrators (NASRA) released a report examining the finances of health care benefits provided to general state employees for reporting periods 2011-2012. 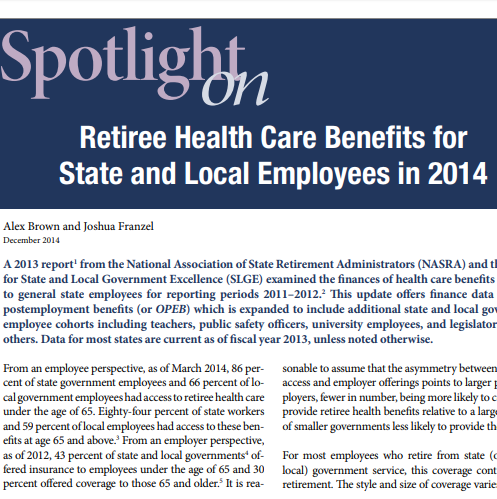 For most employees who retire from state (or covered local) government service, health care coverage continues into retirement. 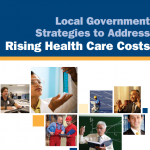 The style and size of coverage varies, and state and local government retiree health programs do not have a uniform design. Different plan designs, coverage levels, and financing arrangements produce different costs for sponsoring state governments. 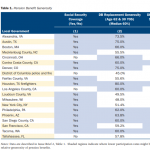 States vary in how they approach financing retiree health benefits, with some prefunding future benefit obligations while others pay for the associated costs annually as part of the state operating budget. The value of assets states hold in trust varies significantly.